SAN ANGELO, TX — (SAPD Press Release) Yesterday morning, representatives with the San Angelo Fire and Police Departments kicked off a joint-training effort in hopes of offering vital tips and information to citizens on what they should do if confronted with an active attack and how they can help victims while awaiting Law Enforcement and EMS response. 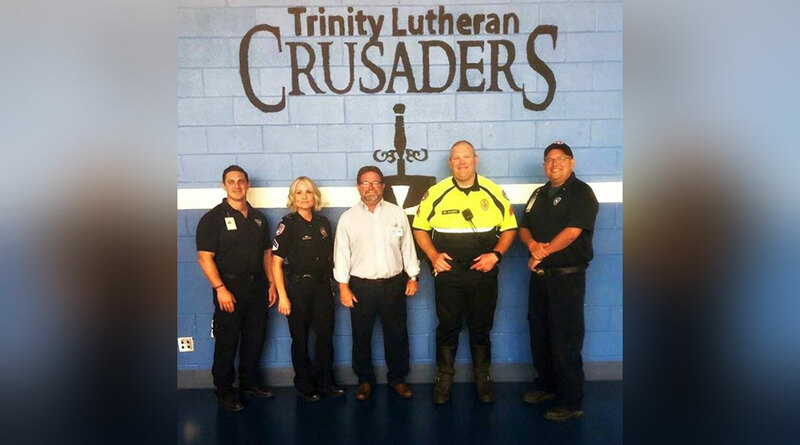 The inaugural presentation, called Unified Response to Active Shooter Events, took place at the Trinity Lutheran School and Early Childhood Development campus with over forty attendees comprised of staff and parents. In addition to San Angelo Fire and Police Departments, representatives from the San Angelo Fire Marshal’s Office, the Tom Green County Sheriff’s Office, and the Texas Department of Public Safety are involved in the condensed joint-training effort, which takes components from the Civilian Response to Active Shooter Events course and the Bleeding Control course, to provide strategies and guidance for surviving an active attack event as well as considerations for conducting immediate first aid to victims while awaiting EMS response.